When things go awry, do you instantly try to return to normalcy or do you think about ways to adapt to the situation? 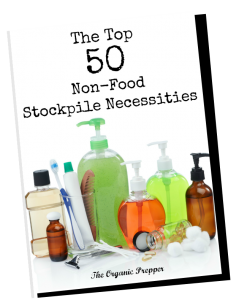 Adaptability will make you a much better prepper. Did you ever see a flower growing out of a brick wall or a crack in the sidewalk? That flower is blooming against all the odds because it adapted to an unfriendly environment and found a way to grow and blossom despite the concrete getting in its way. And we, as preppers, can be likewise adaptable. We’re moving in just a few weeks and the propane in our rented tank has run out. So (because I’m cheap – ahem – frugal) I’m not getting it refilled. It’s a rented tank and is being picked up by the propane company when we move, since the folks moving in after we leave own a propane tank that they’ll install. The company won’t give me just a little bit of propane, so, to save several hundred dollars, we’re going to just live without it for a few weeks. This is far from the end of the world. It’s not an earthshaking emergency by any stretch. But it’s an interesting adaptability challenge, right? But there are numerous easy solutions to all of these concerns. Having all of the things above at the turn of a dial or flip of a faucet are luxuries rather than necessities. There are lots of other ways to acquire hot water, heat, and food. Sometimes, you have to be flexible. One thing I want to add is this: unusual times can call for unusual measures. Like the microwave. We hardly ever use a microwave and had to dig this one out of storage. I’m pretty sure using it to reheat things for a couple of weeks won’t be a terribly big deal. We’re eating food that isn’t our normal fare – storebought sourdough instead of homemade, frozen organic waffles, and things like that. This isn’t a long-term lifestyle change, but a temporary adaptation to a situation. It helps a lot to be flexible. Even though we generally eat a from-scratch, organic diet and we don’t “nuke” our food, for a couple of weeks, I am going to be flexible on those points. Decide which points are essential to your health and well-being and which ones can be subject to adjustment during an “adventure.” You will fare much better if you can go with the flow in these kinds of situations. Currently, at about 6 am, there’s a fire taking the nighttime chill off our house, there’s a sink full of dishes soaking in 3 kettle’s worth of hot soapy water, and there’s a homemade vegetable soup simmering away in the crockpot on the counter. We have a fresh loaf of sourdough from the market to have with our dinner. For breakfast, there are frozen waffles for the toaster and some fruit, and for lunch, we’ll have burritos made from canned beans and store-bought tortillas. Yum. We’re not suffering one bit. I asked the community over on Facebook to tell me about situations during which they adapted so that I could share the information here. In every single story, they showed creativity, frugality, and a willingness to be flexible and adapt to a situation that was beyond their control. People like this will survive when everything changes because they are willing to accept a different reality and figure out a plan on which to act. They didn’t waste time crying or complaining. They simply adapted. Check out their fantastic and inspiring stories below. We lived at our cottage for 8 months while the house was being built. For various reasons, there was only running water for half that time and never to the shower. We had neighbours who offered a hose from their place and we could gather water from a lake just down the road. We collected water off the roof and bought water for cooking and drinking. We didn’t end up using the neighbour’s hose or the lake, but that roof water barrel was pretty low on moving day! It was fun to see how far we could push it. You reminded me of when we built our house….we dug a hole and lined it with plastic, and filled with rainwater from the roof it was our bath for a while (we could empty and refill every few days). We boiled water for baths when our water heater went out and we couldn’t afford to replace it. The oven died right before Christmas, though (fortunately not the stovetop). That one has been a bit more challenging to work around, but my mother-in-law has loaned us a countertop convection oven so I can at least cook meat. We also have a countertop toaster oven, so we can cook small batches of things. The oven situation is not one we’re going try and live with any longer than we *have* to, but I’m also thinking that going a summer without it would be much more comfortable inside. Yesterday, I came home to a driveway blocked by a pile of dirt that had obviously been dumped and left. I had a good idea by whom–the city. I parked, got out, and retrieved tools to clear the path. Right then. I snapped a pic or two but made it gone so I could access my property. Once clear enough to drive, I called the city to lodge a complaint, called the Hubster to alert him, and took some more photos. The city workers had gone home and my garden and lawn were still under dirt with rain on the way. Monday was the soonest they could look into it. I told them they would find the dirt roadside on city property and not to bother coming back to my property, that I would handle it. Fix it move on. Stay safe and don’t waste time on worthless bureaucracy. After hurricane Katrina, it was weeks before we had electricity, running water was a problem, and there was no way to get gas for the generator. We figured out how to do things pretty quick. When things go awry I’m immediately thinking about how to get back into a new ‘groove’ aka normalcy but that always involves adaptation and flexibility too. Eg: when I was completely out of action after surgery recently Hubster had to take on all my household roles (which is my full-time job) as well as his own job, his usual chores AND doing everything for me. He was overwhelmed at times! After I suggested he stop and breathe, we literally made a list in a booklet of what really needed doing NOW (like my medical needs) what was semi-urgent (like laundry and meals) and what could wait, (like calling this person or that, cleaning house and making the bed). This helped him see things as a conglomerate of smaller tasks rather than one big ol’ mess. He naturally started to prioritize tasks and relax that some things could be put off till the weekend. We also established new routines that worked FOR HIM, not me, like supper, followed by cleanup, then my shower and my medical needs, he’d get his work clothes out for the next day, put the kettle on for our herbal teas and we’d sit and watch tv together. Somehow creating a new normalcy along with us both adapting worked. Years ago, my hubby changed jobs, and we went a couple of weeks with very little money. The house we rented ad no washer/dryer, so for those 2 weeks, I washed all of our clothes by hand, and hung outside. You just prioritize your needs, and find ways to make do. Okay, childhood home in rural Greece. Here in CA, I’ve been known to move my countertop oven outside in the summer and to use the camp stove on the patio when it gets hot because I’m too cheap to run the AC. I also line dry everything but whites and towels year round. Believe me, you’ve got this! Do you have some stories to share? I want to hear about situations in which you adapted. Please share your stories in the comments section below. 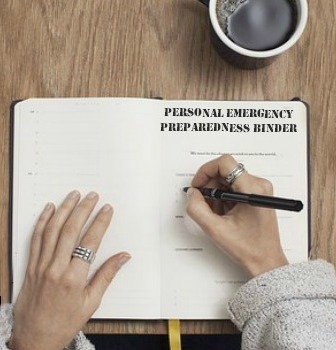 These are great prepper mindset exercises.